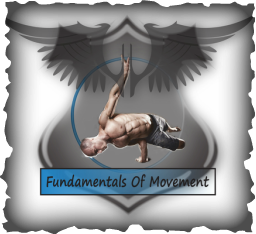 Amir Solsky presents an approachable and achievable training package for learning handstands and to advance your inversions. This is a 30 day program which includes strength work, skill work and posture alignment exercises. Level 1- $49.95 ( APX 40 minutes of daily online training for 30 days) for a limited time only! Upon payment you will receive an email within 24 hours containing a link to training program to be viewed on your YouTube account. Combo FOM HS Online Training Level 1 and 2. - 1 year access. Developing solid handstand skills and beyond is hard to do. Amir makes the overwhelming seem manageable, and he turns frustration into fun. I highly recommend training handstand with Amir to any person, any skill level! I first set out to get better at handstands because I wanted to be better at Capoeira. I studied several video tutorials on You Tube, and I even found a handstand class and a couple of workshops to take. All were helpful, but I found myself dealing with plateaus and overuse injuries every few months. This left me searching for the next solution to keep moving forward. When I started training with Amir, the stagnation in my handstand progress stopped. Over the course of my long term training with him, I have watched my list of handstand goals be achieved one at a time, safely and expeditiously. He puts so much thought into designing exercise progressions to fit my needs, and the exercises he creates are always challenging and fun. Training with Amir gives me an ongoing, personalized assessment, and he regularly makes adjustments to my training when I start to experience undo pain or strain. He provides encouragement to me to keep going at times when I am feeling frustrated with my progress. His knowledge and experience are vast, and he is invested in helping me reach my goals. I started training with Amir about two month ago after my Crossfit competition season ended and I had all kinds of sores in different areas of my body which I wanted healed as soon as possible and a desire to explore movement patterns I haven’t yet conquered... I began my handstand training with Amir with a background of Capoeira style handstands, which were quite shaky and unstable. After a short amount of time my handstands became more firm, solid and more consistant. I've learned how to activate my core muscles and how to be in a proper bodyline, and now I can hold my handstand for more then one minute without moving or falling. Amir's program and very fun and varied. which makes the journey to master the handstand a delightful experience.